You have a variety of choices for some items. 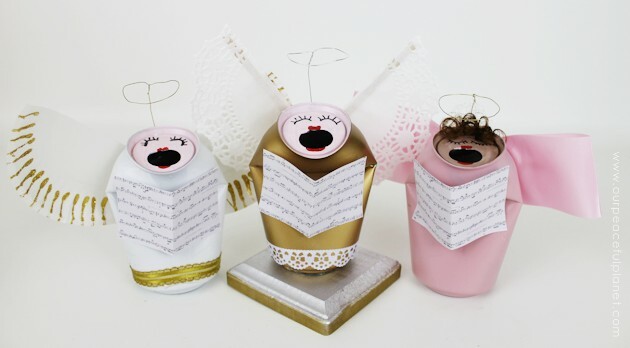 These angels are super simple to put together and you can use a variety of extras to fancy them up. You have to bend them carefully and slowly, just enough so they face forward but don’t tip over. 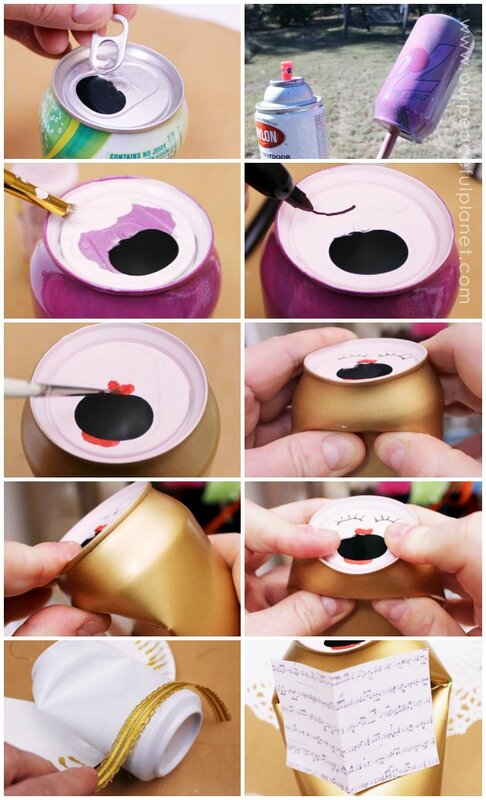 It’s a good idea to practice on some plain empty cans before bending your painted ones. 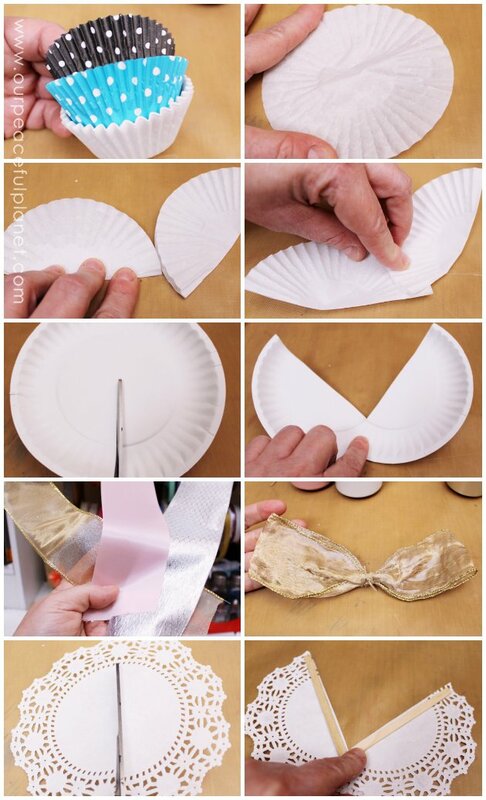 NOTE: The hole edges can be a bit sharp so if you’ve having children make these be extra careful. These show a variety of things you can use to make the wings. Halos are fun and optional as is hair. I remember making these in the 80’s….I think I’ll have another go at it. 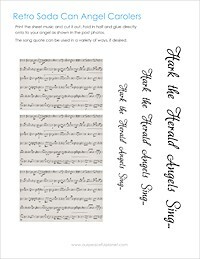 Thanks for the reminder’…..I’ll send you a picture of mine when I complete them! I’d LOVE to see them when you’re done Sheila! 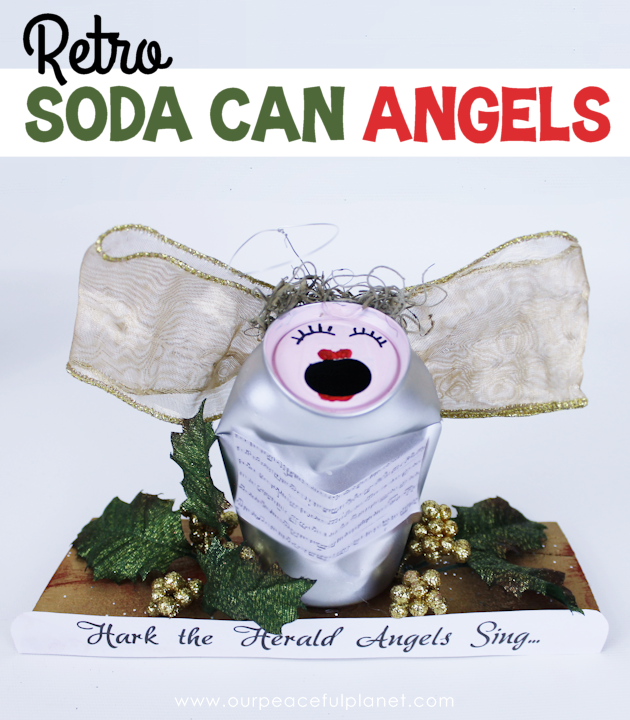 I love these angel soda can designs. 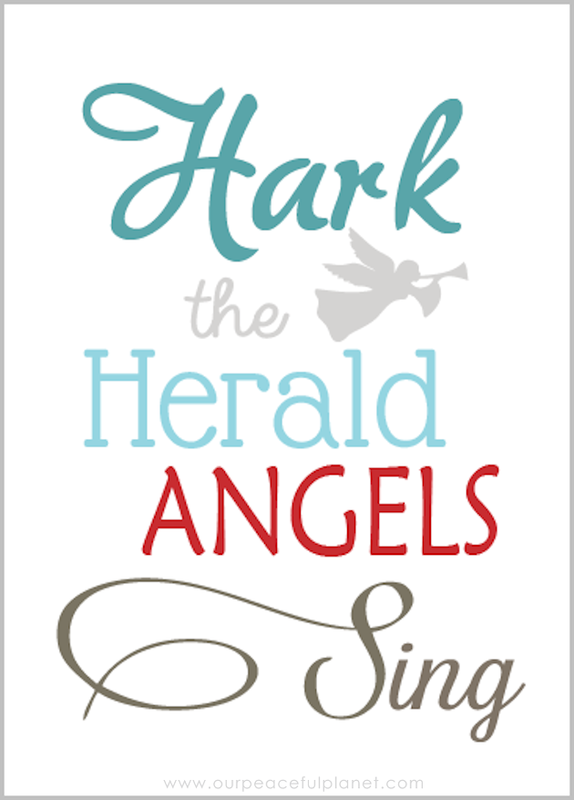 I will try to make some for Christmas. Thanks for visiting Charlotte. Good luck with them! So Amazing & Beautiful Thank you so very much. I appreciate you sharing. Thank you for stopping by Beverly! This is so cute! Might have to make for a friend. 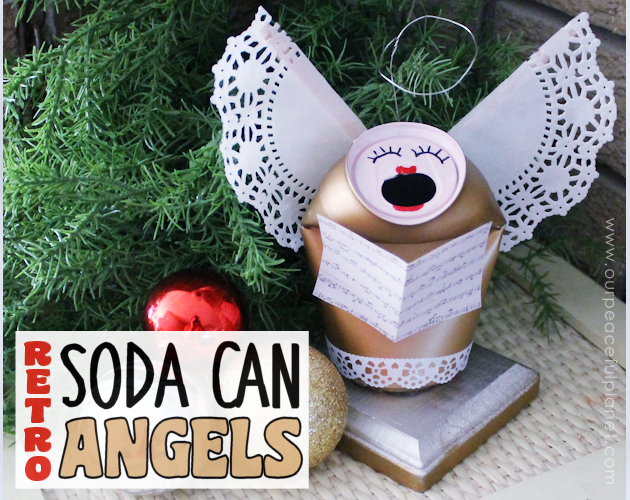 I love how you repurposed soda cans into angels. This is so creative and original. And they look absolutely stunning. 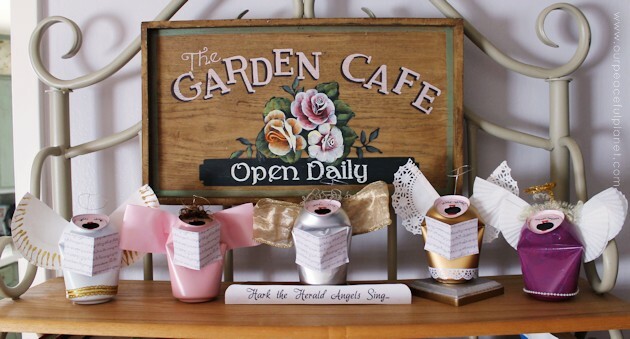 Love upcycled crafts and this one is inspired. 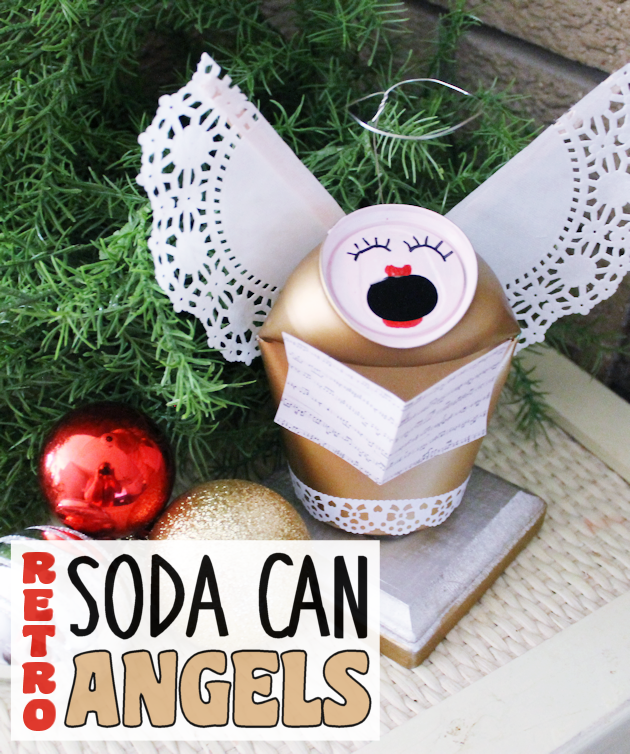 I’ve been making angel wings out of shuttlecocks, I think I need now to attach them to a soda can. Thanks for the inspiration. You’re welcome Claire. Thanks so much for visiting! Previous: No Fireplace? Make a Simple Stocking Holder!